About 39,000 additional residential units are expected along a 4-mile stretch of the Honolulu rail route, requiring more schools. The state Department of Education wants to impose a school impact fee on all new residential development along a 4-mile stretch of the Honolulu rail line from Kalihi to Ala Moana to build or expand schools in the area. About 39,000 new residential units are anticipated within the fee district, which could translate into an influx of 9,000 students, creating a need for six more elementary schools, and the equivalent of one and a half more middle schools and high schools, according to a DOE draft analysis. Under the DOE proposal, developers would be charged nearly $9,400 per unit if they don’t provide land for schools. While some say the schools desperately need this money, others are concerned that an additional fee will be a deterrent to building affordable housing. 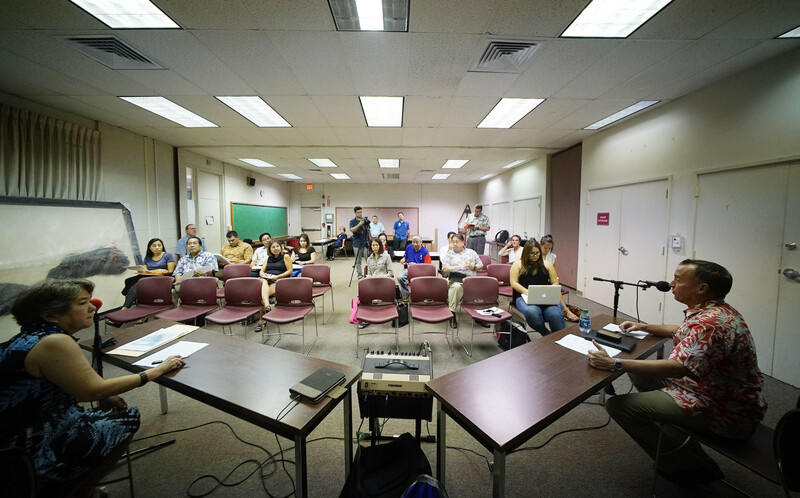 The Department of Education held a public hearing Nov. 2 at Farrington High School to hear what the community thought about its proposed school impact fee district. The DOE estimated its plan would collect enough money to pay for 100 percent of land costs and 10 percent of the expense of building or expanding schools in the area. The rest of the construction costs would have to be covered by state taxpayers via the Legislature. The DOE also collects school impact fees in districts in Central Maui, West Maui and Leeward Oahu. Developers of new residences, including residents who build accessory dwelling units, would pay $584 per unit as part of the construction component of the fee. They would also have to grant the DOE 0.0016 acres per unit. If they choose to pay an additional fee instead of granting land, it would be $8,790 per unit. The developers would pay the impact fees when they apply for building permits, or they could pass the fees on to the first owners of the units. The fees would not apply where there is no school impact, such as if there were plans to build a tower for senior housing. The formulas for these fees came from an impact fee law passed in 2007 by the Legislature. Unlike the other districts, fees in lieu of land could be used to purchase or lease land or space in buildings or to remodel or renovate existing structures. Meeker told Civil Beat the DOE has looked at the existing 13 schools in the affected area to see what renovations would be needed, but hasn’t come to any decisions. City Councilman Joey Manahan, who attended one of the DOE’s two public hearings on the topic held Nov. 2 and 3, told Civil Beat he’s concerned the fee would be a deterrent to developers who want to create more affordable housing and existing residents who want to add accessory dwelling units to their properties. “I would like them to be exempt from this policy, yes, absolutely, and see if there’s a way that the department and the city and county can come up with some other kind of policy or incentives to be able to address the needs of those schools for school improvements – but without so much of the burden on the existing residents,” Manahan said. The Honolulu Department of Planning and Permitting supports the concept of impact fees for education, but opposes the proposal for the urban Honolulu impact fee district. Department of Planning and Permitting Acting Deputy Director Kathy Sokugawa testifies at the Department of Education’s Nov. 2 public hearing. 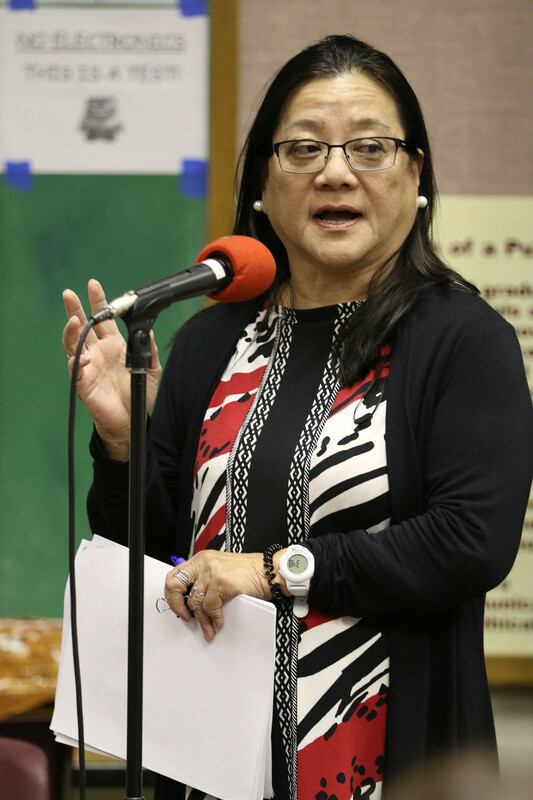 Acting Deputy Director Kathy Sokugawa said in her Nov. 2 testimony at Farrington High School that the city recently passed an ordinance waiving permit fees – which are about the same amount as the proposed school impact fees – for accessory dwelling units to reduce the cost of housing near the rail where young families or a couple just starting out may live. “This is going to dampen the development potential for that segment of our population,” she said at the meeting. Harrison Rue, the city’s community building and transit-oriented development administrator, suggested that the DOE consider waiving the school impact fees for accessory dwelling units. 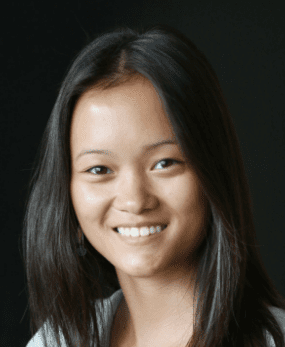 Sen. Jill Tokuda introduced a successful measure earlier this year that amended some provisions of the school impact fee law, one of which was to make it clear that projects going through the state’s affordable housing process were not exempt from the fees. “If we aren’t able to build schools or be able to collect fees, the taxpayers, in general, have to pay for the building of those schools. It has to come from somewhere,” Tokuda said. Hawaii needs more affordable housing rentals, said Kevin Carney, vice president of EAH Housing, a nonprofit housing corporation, at the Nov. 3 hearing. The nonprofit, which serves people who earn less than 60 percent of the area median income (for a family of four, that’s $50,000 or less) opposes the proposal. EAH Housing currently has two affordable housing projects in the pipeline – an art space project on Waimanu Street and a micro-unit project on Cooke Street. The fee would add an additional $1 million to the cost of one project and $800,000 to the other, he said. “What we’re asking for is for them to delay it until at least after the next legislative session to give housing advocates a chance to lobby for the change in the law” to exempt affordable housing projects from the fee, Carney told Civil Beat. Meeker said at the hearings that the DOE expected it would receive criticism for adding another fee and making affordable housing more costly, but declined to comment further on these topics after hearing the testimonies on these concerns. As the DOE faces more expensive, less available land in the proposed area because of the rail service, new models will be needed to build or expand schools. Meeker said the DOE will likely have to look at building and expanding schools vertically, with multiple floors. Land in the proposed fee district is 10 to 12 times more expensive than land in the Ewa plain, where agricultural land could previously be used for developing residential areas and schools, Meeker said at the neighborhood board meeting. While the Ala Moana/Kakaako Neighborhood Board did not take a formal position on the proposed impact fee district at its October meeting, chairman Ryan Tam told Civil Beat he thinks members are generally supportive. Kamehameha Schools, which is redeveloping a portion of Kakaako, is reviewing the proposal, said spokesperson Kekoa Paulsen in a written statement. Rosenlee said the big problem is that many existing schools are old and there’s not enough money to construct new ones. He cited Farrington High School as an example at the Nov. 2 hearing. Four years ago, the auditorium at the school collapsed, and it took a long time to rebuild, Rosenlee said. “The reality is that we need to start the school impact fees now so we develop this fund so that when our schools need these buildings, we have abilities to fund them,” Rosenlee said. In fact, the HSTA believes the school impact fee should be applied statewide. The Board of Education plans to vote on the proposed district at its Nov. 15 meeting.